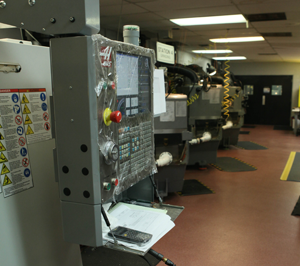 In-House Facilities | PLX Inc.
Extensive in-house production and quality control. 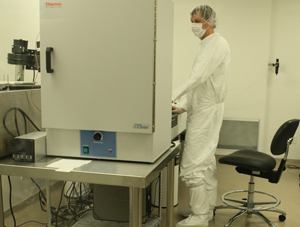 Our in-house manufacturing and environmental testing facilities, performance testing capabilities, and state-of-the-art optical analysis equipment provides total quality management and accountability. PLX’s Quality Assurance Department has at its disposal ZYGO Interferometers, a visible spectrometer, an FTIR spectrometer monochromator, a CMM machine, durometers, a shock tester, computerized temperature chambers, a humidity chamber and measurement tools required by ISO. 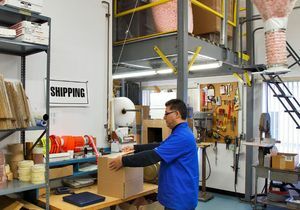 Our production facilities include a complete fabrication shop utilizing CNC machine glass fabrication technology, four Blanchard machines, a 36” grinder table, four surface grinders, and a variety of diamond cutting tools. Our complete optical shop can produce optics with better than λ/20 flatness using 26 grinding and polishing spindles and two planetary polishing machines. All our grinding machines include micro separators enhancing surface finish and machine longevity. We also have a Class 100 clean room area for our line of Monolithic assemblies and a modeling/tools machine shop for in-house requirements. Our valued and experienced employees go through extensive on-site training and evaluation. Without them, our sophisticated high-tech computerized production systems and in-process approach to quality control would not reach the level needed to produce the most accurate and stable optical products in the industry.